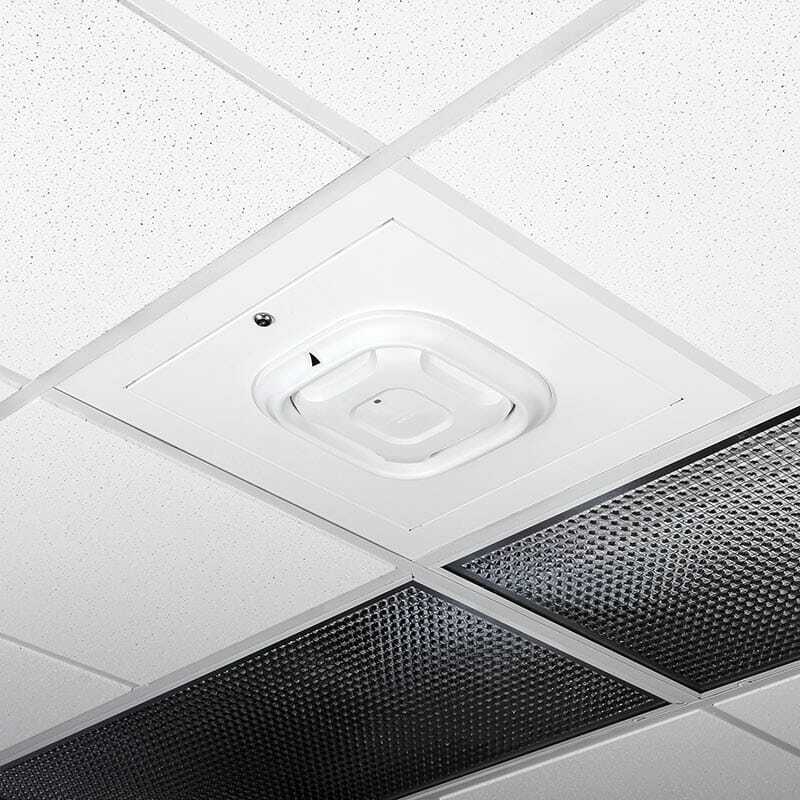 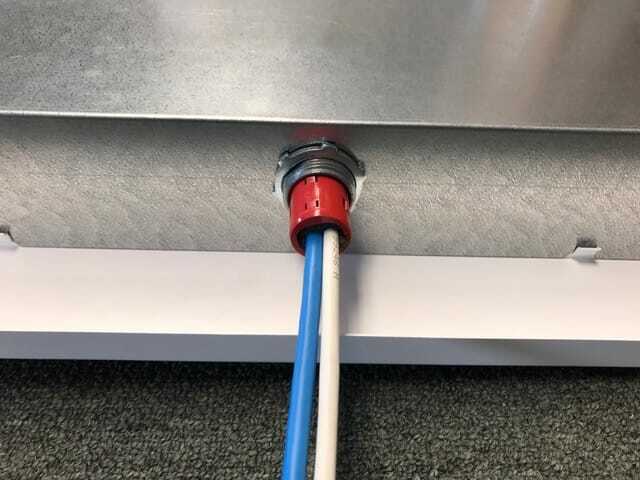 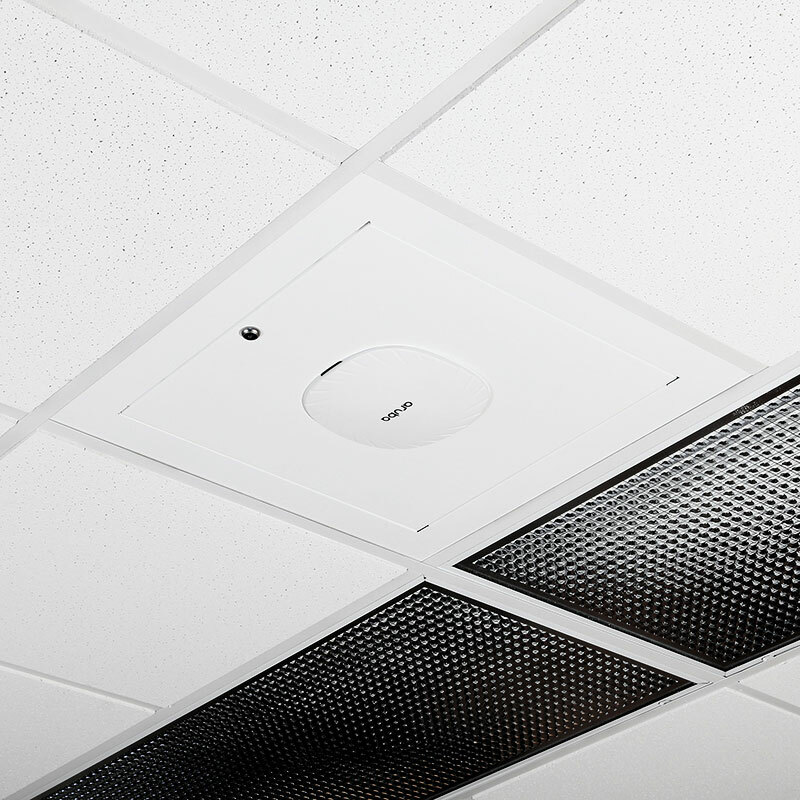 Economical, locking, 2 x 2 ft. (593 x 593 mm) suspended ceiling Wi-Tile™ enclosure mounts and secures Wi-Fi and Small Cell APs flush to the ceiling. 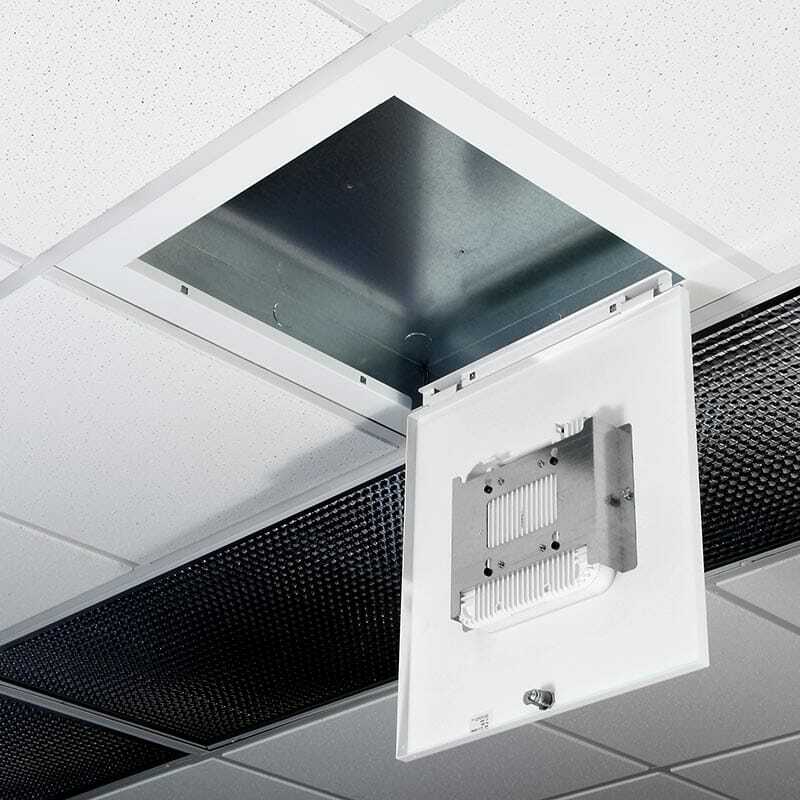 This steel enclosure replaces a standard ceiling tile, and its’ larger back-box is suitable for larger APs and antennas. 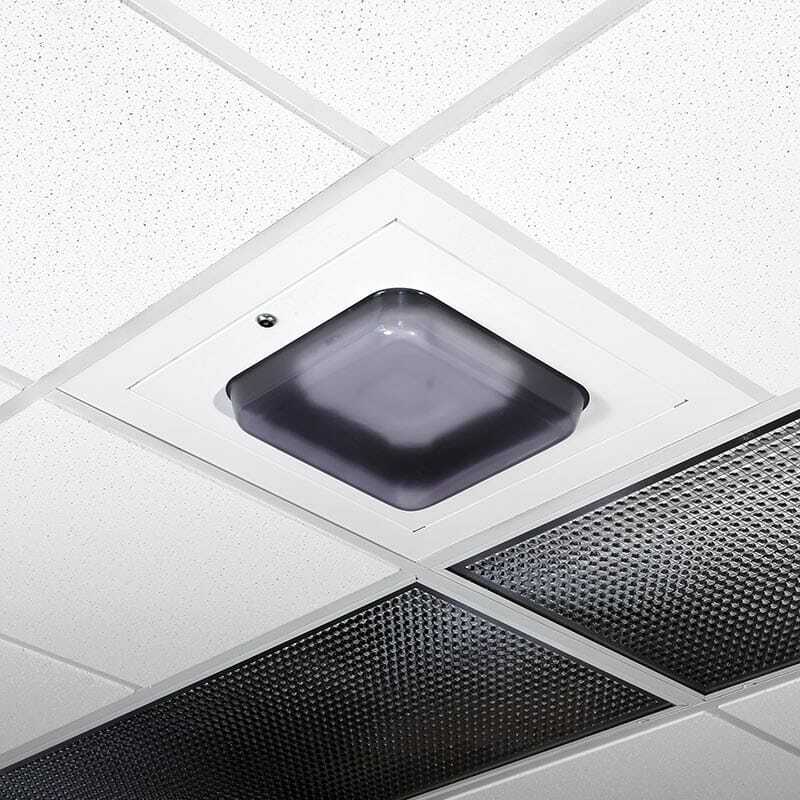 APs are mounted in the door, or inside the models with the ABS or frosted polycarbonate plastic dome. 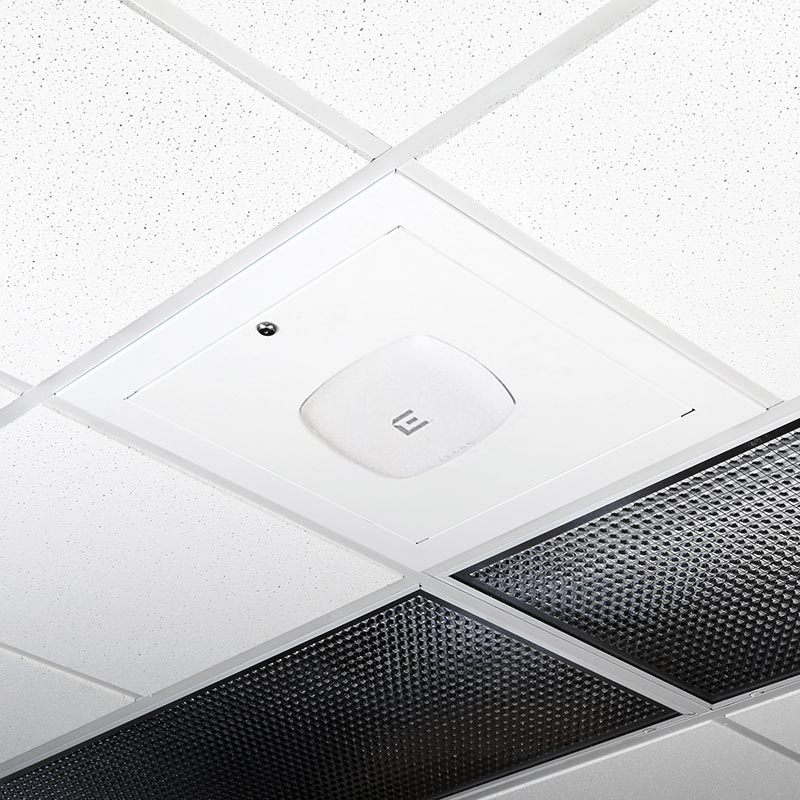 The interchangeable door simplifies AP and antenna moves, adds, and changes. 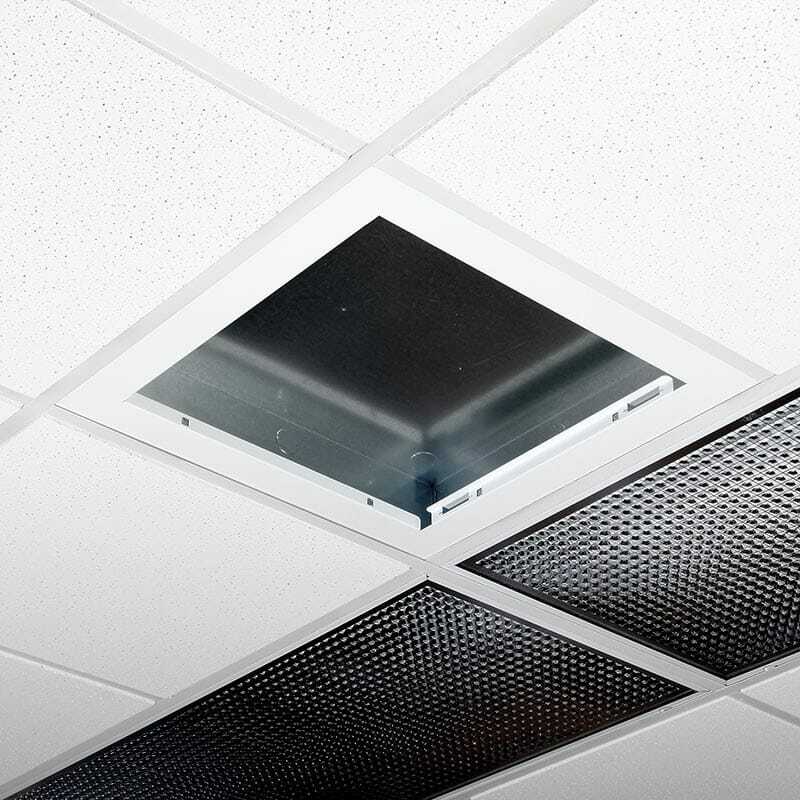 Styles available for both standard flush grid and recessed grid ceilings (-T), and for both North American and European (metric) ceiling systems.